Secondary Highway 501, commonly referred to as Highway 501, was a provincially maintained secondary highway in the Canadian province of Ontario. The highway was 13.1 kilometres (8.1 mi) long, connecting Highway 103 north of Port Severn with Honey Harbour. Highway 501 was first assumed by the Department of Highways (DHO), predecessor to the Ministry of Transportation of Ontario, in 1956, along with most secondary highways in Ontario. In the early 1970s, the route was transferred to the newly established District Municipality of Muskoka and has since been known as Muskoka Road 5, or Honey Harbour Road. Today Muskoka Road 5 is accessed from Highway 400 at exit 156. 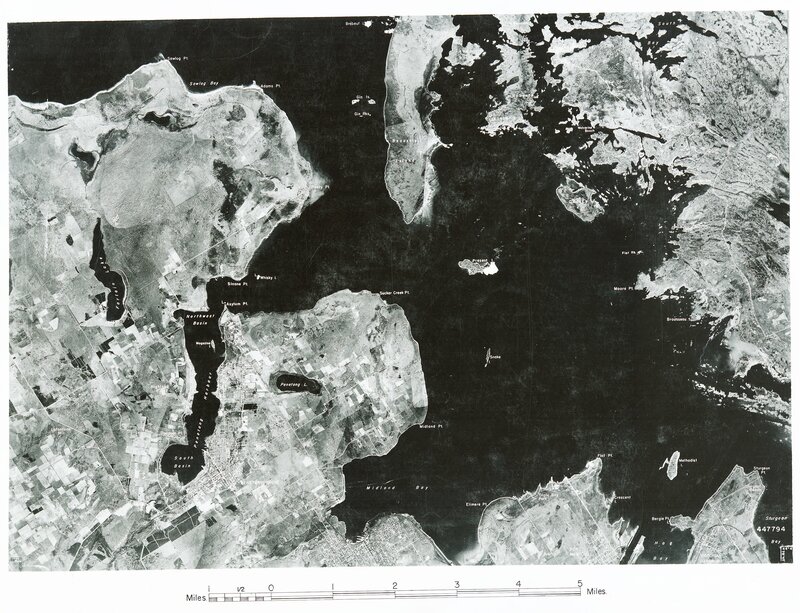 The route of Highway 501 was, and remains, a short access road to summer cottages and islands along the rugged Georgian Bay shoreline, and the small port of Honey Harbour. The area, known for its scenic granite outcroppings, overlays the southern fringe of the Canadian Shield. Beginning at Port Severn, west of the modern Highway 400 interchange (exit 156) at what is now Violet Drive, the route travelled west for 1.3 kilometres (0.81 mi) to a crossroads, then proceeded north. This crossroad is now bypassed by a gradual curve. Continuing north, the route generally followed the current alignment of Muskoka Road 5, except between Bass Bay Road and Sunset Lane, where a former alignment lies in the forest east of the current road. The route meandered north and westward through the forest before entering Honey Harbour. The designation ended at the marina entrance in town. The route of Highway 501 was first assumed by the DHO in early 1956, along with several dozen other secondary highways. It was likely maintained as a development road prior to that. It connected Port Severn with Honey Harbour along a 13.1 kilometres (8.1 mi) route. The route remained unchanged as Highway 103 was built into Muskoka, a corridor now occupied by Highway 400. The creation of the District Municipality of Muskoka on January 1, 1971, resulted in the province transferring responsibility for secondary highways to the district. By 1973, Highway 501 had been redesignated as Muskoka Road 5, as it remains today. The following table lists the major junctions along Highway 501, as noted by the Ontario Department of Highways. The entire route was located in the District Municipality of Muskoka. ^ a b c Ontario Road Map (Map). Cartography by C.P. Robins. Ontario Department of Highways. 1956. § Q33. ^ a b Ontario Road Map (Map). Cartography by Photogrammetry Office. Ministry of Transportation and Communications. 1973. § Q33. ^ "Image: 447.794.jpg, (3860 × 2960 px)". maps.library.utoronto.ca. Retrieved September 24, 2015. ^ Google (March 22, 2015). 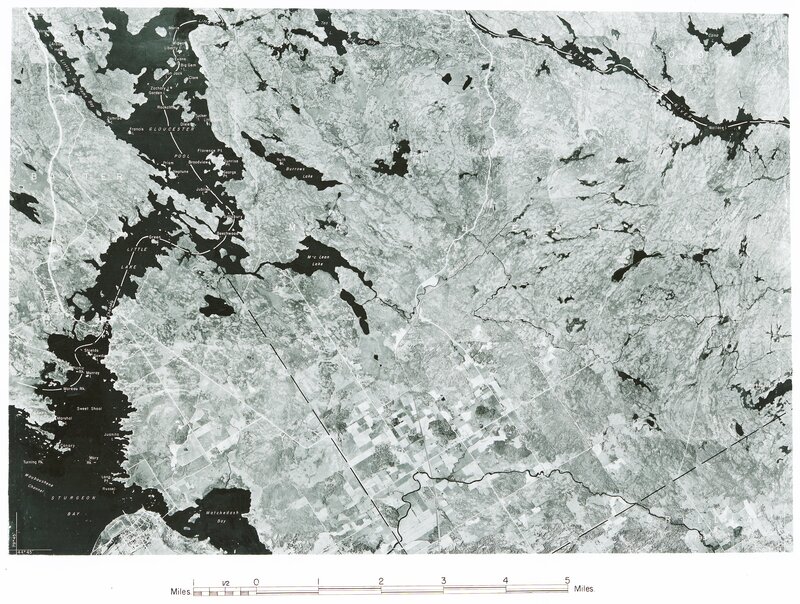 "Satellite imagery of modern Muskoka Road 5 west of Highway 400 interchange at Port Severn" (Map). Google Maps. Google. Retrieved March 22, 2015. ^ a b "Image: 447.793.jpg, (3830 × 2890 px)". maps.library.utoronto.ca. Retrieved September 24, 2015. ^ "District Municipality of Muskoka Act, R.S.O. 1990, c. D.14 | Ontario.ca". e-laws.gov.on.ca. Retrieved September 24, 2015. ^ Ontario Road Map (Map). Cartography by Photogrammetry Office. Department of Transportation and Communications. 1972. § G22. ^ a b Ontario Back Road Atlas (Map). Cartography by MapArt. Peter Heiler. 2010. p. 41. § W28–X29. ISBN 978-1-55198-226-7. This page was last edited on 24 September 2015, at 21:04 (UTC).